Sorry to break it to you, but your feet need some TLC. Our feet are under appreciated for all that they do! They holds us up and supports our bodies so we can move--- which is actually pretty important! It's vital that we take care of our feet so that when we are older, we can maintain our comfort in mobility. Plus, have you seen gross old feet? Ew. Nobody wants that. So MAINTAIN YOUR FEET! Treat them like the amazing things they are and give them a little love. They deserve it. Since we addressed that feet deserve respect and lots of love, we also have to mention that shoes probably should be worn to protect the feet, but you see--- I feel like a hypocrite saying that. I am a Floridian and as such, we do not believe in shoes. Anyways, as a person who rarely covers her feet-- I have some pretty ugly heels. It was important to me to find something to help moisturize my feet, but even more importantly something that would help them to retain that moisture, keep them happy and supported for many years to come. 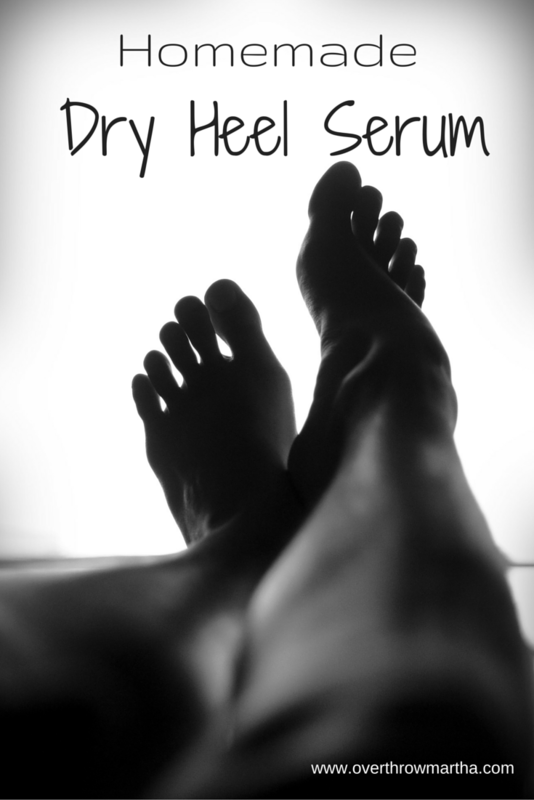 Hence, the dry heel serum (although this is a great overall foot moisturizer). And bonus!!! 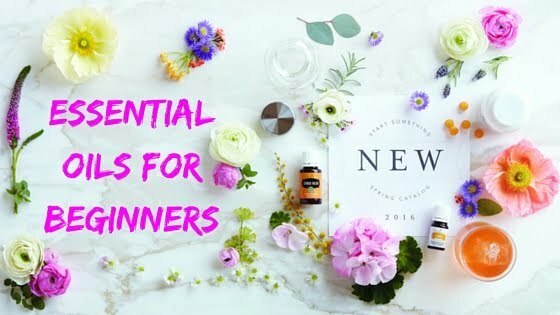 Our feet are highly absorbent so any essential oils you use on your feet as a moisturizer will also work in other ways inside of your body to help support your health and happiness. It's pretty amazing how these little bottles of essential oils work! This DIY is thick and very, very moisturizing. Simply apply this to the bottoms of your feet daily to help keep them soft and smooth. Mix all of these in a glass bottle (like this one) and use it as needed. You can apply this to the entire foot to keep it healthy and happy or just focus on the heel. A little will go a long way so use sparingly. Let it dry completely before walking (don't slip)! 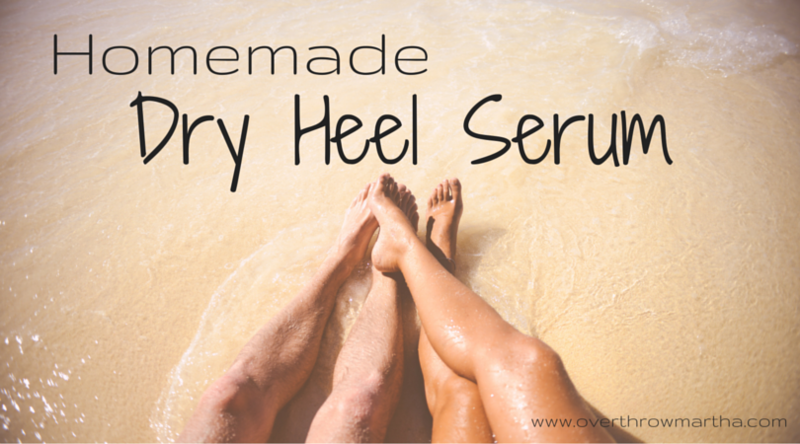 Hopefully this will help keep your feet healthy, happy and beaauuuuuutiful! After all, our feet help us walk to the fridge to get dark chocolate covered strawberries-- we should thank them! Interesting article here....but sweet friend.....eventually we ALL get old feet.....lol lol.....But they do not have to be dry and not cared for. I used coconut oil straight from the jar. I slather it on at night before bedtime and it does wonders. Yours probably smells better than mine...but mine is a little simpler. You can't be a nurse. Interesting observation. I was most definitely an ICU nurse. You were in the wrong field. Nursing? People are sensitive that come to this blog. Most of them come for that very reason you consider disgusting. Your choice of words need care. I was in the wrong field, but it was because of vomit. I hate vomit. And nurses are very blunt and typically not super selective about their descriptions of things like feet, sores, mucous and such. But this post was tame! I am not sure what offended you but I rarely think anything is disgusting. Except vomit. It's so gross. Anyhow, my blog is blunt and no-nonsense. Perhaps that is not your style, but this is who I am. I do not change myself for anyone or for any reason. I won't try to change or judge you so I ask that you do the same for me. 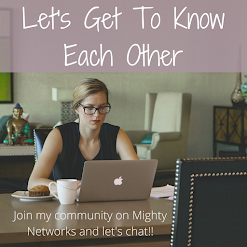 If you find that I am offensive, perhaps you would enjoy reading another blog.